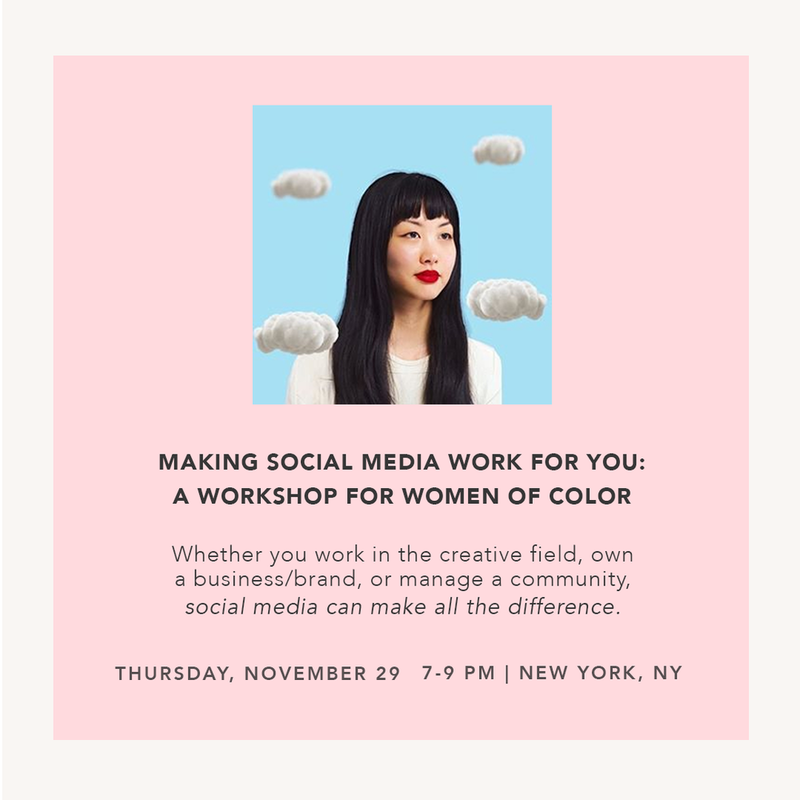 I’m excited to announce my first workshop! Social media is a powerful tool for sharing what you love and getting visibility for your work. But let's be real. It's can be intimidating to put yourself (and your work!) out there. It's one thing to have a stellar product or service, but it's another to reach the right audience, grow your followers, and devise a strategy for meeting your goals. Whether you work in the creative field, own a business/brand (or have an idea for one), or manage a community, social media can make all the difference. By learning how to make social media work for us, we can access more opportunities - extra cash, exposure/press, a new career, and more! Best of all? It doesn't have to be painful or scary!